Specially formulated for even the most sensitive, couperose and rosacea-prone skin. A clinically proven unique marine complex, combined with skin soothing arnica, willow herb and oat beta-glucan, works to reduce facial redness and calm reactive skin. For best results use both morning and night, after cleansing. Reduce redness and calm sensitive, couperose and rosacea-prone skin. INGREDIENTS: Purified Water (Aqua), Glycerin, Glycosaminoglycans, Beta-Glucan, Glycine Soja (Soybean) Seed Extract, Sodium Cocoyl Amino Acids, Dipotassium Glycyrrhizinate, Sodium Hyaluronate, Arnica Montana Flower Extract, Epilobium Angustifolium Leaf/Stem Extract, Rhodochrosite Extract, Copper PCA, Sea Whip Extract, Bisabolol, Tocopheryl Acetate, Diisopropyl Dimer Dilinoleate, Diisostearyl Dimer Dilinoleate, Tocopherol, Oryzanol, Ubiquinone, Sarcosine, Potassium Aspartate, Magnesium Aspartate, PEG/PPG-14/4 Dimethicone, Caprylic/Capric Triglyceride, Polysorbate 20, Xanthan Gum, Disodium EDTA, Diazolidinyl Urea, Iodopropynyl Butylcarbamate. 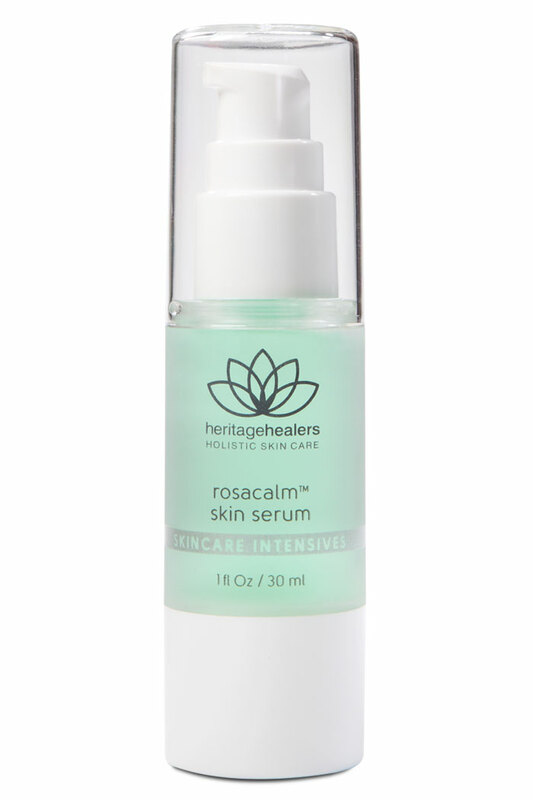 Best used alone, RosaCalm is ideal for sensitive, couperose and rosacea prone skin types. For best results apply to cleansed skin both morning and night. Always allow time to fully absorb, before applying appropriate moisturiser.